Today United announced that it will fly between San Francisco International Airport and Papeete, the capital of Tahiti, in 2018. United will operate nonstop service, three times weekly with Boeing 787 Dreamliner aircraft between SFO and Fa’a’ā International Airport (PPT), beginning Oct. 30, 2018, through March 28, 2019, subject to government approval. 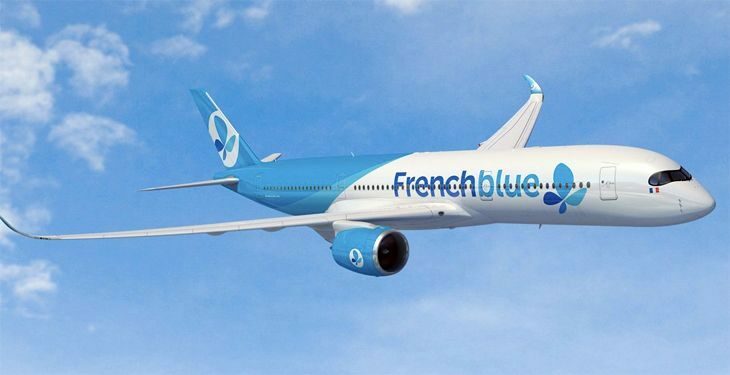 Currently, the only non-stop service to Tahiti from the U.S. mainland is out of Los Angeles on Air Tahiti Nui and Air France with economy fares in the $1,300 roundtrip range. Hawaiian Airlines also flies once a week between Honolulu and Papeete. Until now, one stop fares from SFO via LAX have been in the $1,500. A quick search on United’s site today showed SFO-PPT fares of $1,467 roundtrip in the first week of Oct 2018. Searching for mileage redemptions, the cheapest we could find for October flights was 160,000 round trip. Before this announcement, United Mileage Plus members did not have an easy way to fly to Tahiti using their miles. Here’s the San Francisco – Papeete schedule, which still requires government approval. UA 115 SFO – PPT Tues/Thurs/Sun 2:45 p.m. 9:25 p.m. Flight time between SFO and PPT is about nine hours. It is about 4,200 miles from SFO to PPT each way. 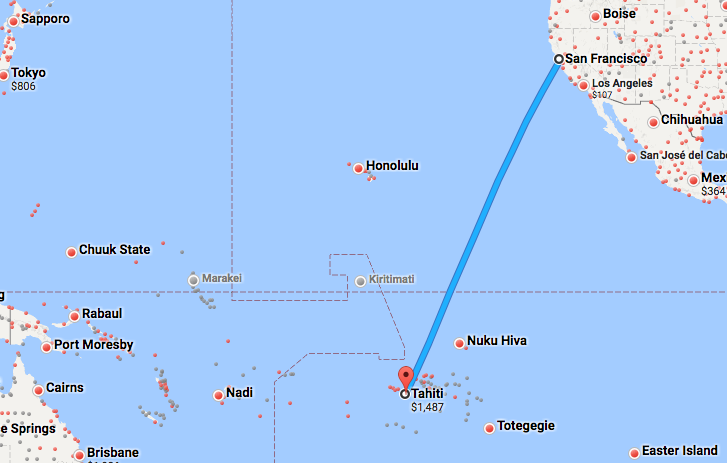 Tahiti is part of French Polynesia (see map), which is located on the eastern side of the International Date Line, so flights arrive on the same day they depart, not two days later as they do when flying to Asia. 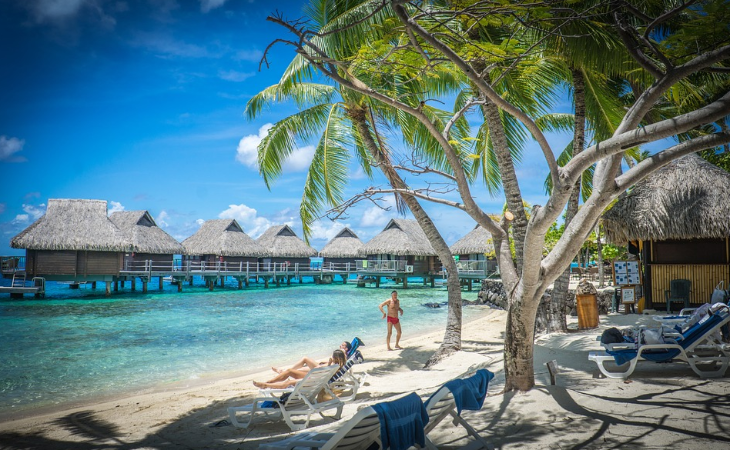 Have you been to Tahiti or French Polynesia before? Do you dream of going there? Is there room for TWO airlines to fly nonstop from SFO to PPT? Please leave your comments below.